A climber was airlifted to hospital after breaking an ankle when he was caught in an avalanche on Wales’s highest mountain. The man was with two other climbers on Snowdon on Tuesday when they were avalanched and he fell 75ft. Two mountain rescue teams went to the climbers’ aid and the Caernarfon Coastguard helicopter flew to the site at Clogwyn y Garnedd. North Wales Police received an emergency call about 4.30pm and members of Llanberis Mountain Rescue Team was called out, with Valley RAF Mountain Rescue Service members also joining the operation to evacuate the injured man from the mountain. The group of three had been in Trinity Right Hand Gully. An RAF MRS spokesperson said: “Llanberis Mountain Rescue Team were quick to respond with team members heading to the casualty location where once there they treated the casualty for his injuries and awaited the arrival of the RAF Valley MRT troops who were bringing up the stretchers, cas-wrap system etc. 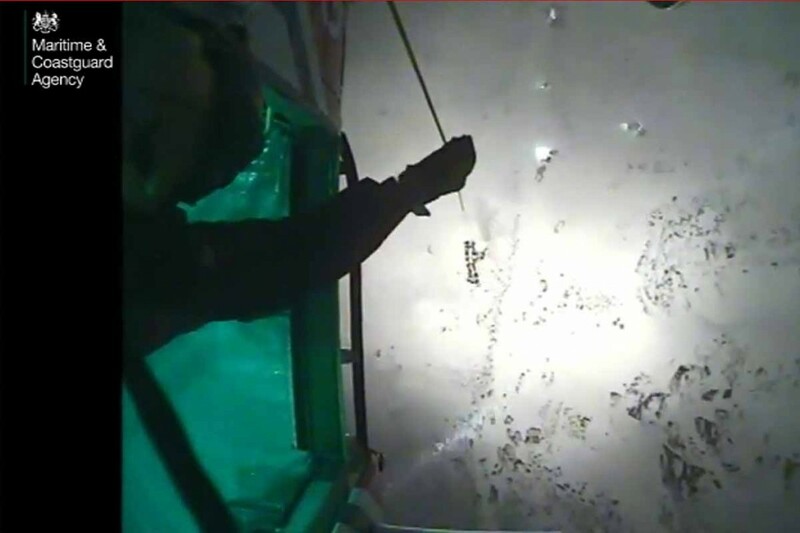 Coastguard winch operator Rich Taylor said: “In support of the Llanberis and RAF Mountain Rescue Teams we recovered a casualty from the Pyg Track in the Snowdon bowl. “On arrival the mountain rescue teams had assessed and immobilised the casualty and packaged him in a stretcher which they then carried to a suitable winching area. “However, due to snow showers and fading light, we had to hold off for a short while until a break in the weather. We managed to recover the casualty in testing conditions due to recirculating snow, resulting in a high winch. Once onboard the helicopter, the injured man was taken to Ysbyty Gwynedd in Bangor. The two remaining climbers were uninjured and were walked off the mountain by mountain rescue teams. A Llanberis MRT spokesperson said: “Lee slopes now have significant snow accumulation and windslab is developing. More snow is forecast and the temperature is set to remain cold. Consolidation is unlikely in the next few days. “Enjoy the snow, make good decisions. “Snowdon in winter is a very different proposition and you should always carry additional warm clothing together with crampons and ice-axe which are essential items if the routes to the summit are covered in ice or snow. “Batteries don’t like the cold so you should consider carrying spares and not rely too heavily on electronic mapping or phone as your only method of navigation. Low-tech is good so carry a compass and paper map and have the knowledge of how to use them.